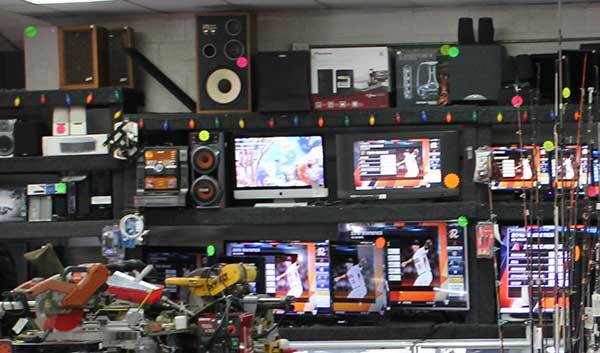 Pawn shops are great places to find deals on a wide variety of items. From high-quality jewelry to power tools and everything in between, pawn shops are a great resource for buying and selling. They can also be an excellent resource when you are looking to sell your high-end fishing gear. Fishing gear, such as reels, poles, and lures, are bought and sold just like any other item in the pawn industry. However, the price you can expect to get will vary depending on a few key factors. If you’ve got high-end fishing gear that is only taking up space and gathering dust, or if you could use some quick cash, keep reading to learn more about the factors affecting how much you can expect, and how to sell your fishing gear. A huge factor in selling your high-end fishing gear is quality. Like lots of other items that come through your pawnbroker’s doors, the price they will offer depends a lot on its initial value. Your local pawn shop will consider the manufacturer, materials, and condition when appraising your gear. A pole that can be found for cheap at your local big-box store will probably not be desirable for most pawn shops. However, custom pieces like poles or reels made by a highly sought after builder, or exclusive boutique items will command more money because the pawn shop will be able to charge a premium for it and can expect it to sell. Of course, any gear you offer your pawn shop must be in working condition and should be as close to perfect and pristine as possible. Make it easy for your pawnbroker to sell your gear and you should walk away with a reasonable price. Pawn shops in land-locked areas where there are few opportunities for fishing will probably not be too interested in fishing gear, no matter how unique or functional. This is because the demand for fishing gear in that region is just not very high, and the shop will have trouble selling the items. However, if you live in the Inland Empire or San Gabriel Valley, you’re not out of luck. There are many fishing opportunities in the nearby oceans, rivers, and lakes, all of which are an easy drive for the area’s many fishing enthusiasts. So, while demand for high-end fishing gear may not be as high as in places like coastal cities, there is a good chance that your equipment may still net you a reasonable price at your local shop. Also, keep in mind that the time of year may affect your pawn shop’s ability to buy your gear. If it is the off-season, your pawn shop may not be able to buy your gear right away. Fishing gear, especially the high-end stuff, can often feature sought-after accessories or modifications. If your gear happens to be in this category, be sure to keep on hand any authentication when selling. Any documentation you can provide your pawnbroker that proves your gear is genuine and custom will help them give you a good price because it improves value. You may need to do some digging to provide your documentation, but it will be worth it when your pawnbroker offers you more than you expected. No one becomes an expert fisherman overnight. Many beginners are ready to upgrade their gear and want to do so slowly and with minimal investment. The savvy ones will consider their local pawn shop to try gear out and take the next step in their learning. Fishermen are always looking to try out new gear and find a bargain. You’ll avoid paying fees for shipping, listing, and insurance. Selling to a pawn shop gets you cash in hand in minutes. Before you begin offering your gear to your local pawn shops, consider the following points. Do your research: explore message boards and online auctions to see what people are buying and what people are interested in. If you have popular gear, take note of how much people are paying. 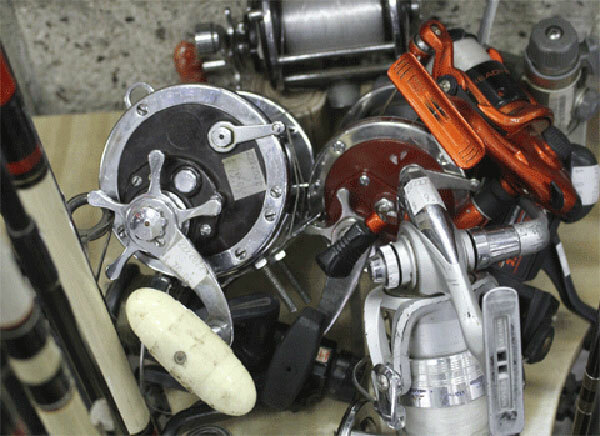 Your local pawn shop may be interested in keeping items like these on hand for beginning fishermen who find their way into their shops, and you can make your gear more appealing by presenting it as clean as possible. Learn how pawn shops work: keep in mind that at the end of the day, your local pawn shop must be able to turn a profit. They must be able to sell your gear to casual fishermen and experts alike and may not want to have a glut of inventory on hand. Don’t take it personally if they decline to purchase your gear. Negotiate: learn to haggle and don’t be afraid to walk away if the offer simply doesn’t work for you. Before you walk into the shop, you should be aware of two numbers: how much your item is worth, and how much you want to sell it for. Work with your pawnbroker to find a happy medium between these two numbers to keep everyone happy. For all these tips, keep in mind that not all pawn shops will be interested in or knowledgeable about fishing and fishing gear. It may take you some visits to find a place that is truly speaking your language. We, however, are eager to make you an offer on your high-end fishing gear. Visit us today and let us make you an offer! When people in the Inland Empire are in the market for jewelry, most head straight for their local jewelry store, or to the nearest mall’s huge chain store. However, there are those who consider other options, such as pawnshops, which is fortunate because pawn shops in most cases can save you quite a bit of money on their jewelry investment. For one, unlike retail jewelry stores, pawn shops have the ability to price their gold pieces according to the ever-fluctuating price of gold, whereas design and manufacturing heavily affect the price in a retail jewelry store. That means that in a pawn shop, you are more likely to find a great deal on a name-brand piece than anywhere else. Your pawnbrokers are able to give you a great deal on gold if you visit them at a time when the price of gold is favorable to your needs. Retail jewelry stores buy wholesale and mark their products up around 100%. In the case of the huge national chains, they also invest heavily in advertising and pass the expense of all those television, radio and print ads on to the consumer. Meanwhile, pawnshops can typically sell similar items at a discount because there is no middle man to force them to earn a considerable profit. Pawn shops essentially cut out the middle man and pass the savings on to you. Pawnshops are unique because they also present an opportunity to trade in unwanted but valuable items for cash or towards the purchase of the jewelry that you want. This makes buying jewelry more accessible to more people. While some retail stores will jewelry in trade, your local pawnbroker is able to give you a higher value on the item in exchange. This is because pawnshops have a multitude of ways to resell jewelry. For example, they can sell jewelry as is, or they can sell precious stones or gold to local jewelers. A retail jeweler usually does not have such flexibility. If you’re looking to sell your jewelry, a pawn shop is still likely your best option. This is because a retail store must be interested in your specific item in order for them to buy it. If your item isn’t popular or rare or vintage, it is unlikely to sell, causing them to turn your item down. A pawnshop, on the other hand, doesn’t need to worry about the popularity of an item. The weight and carat of the precious metals and gems in your jewelry are far more critical to your pawnbroker. Also, if you are not exactly ready to part with your jewelry forever but are still in need of some quick cash, pawnshops can offer you a loan against the value of your items. You can get the money you need without the wait and credit check of a bank or payday lender, as well as keeping your credit rating safe. If you repay your loan in time and do not pay late or miss any installments, you will get your item back. Not only will you get to keep an object with great sentimental value, but you will also be able to take out a loan against it again in the future if necessary. How much will a pawn shop pay for my jewelry? The price a pawn shop will pay will vary because it depends entirely on how much a particular pawn shop will pay for your items. However, you can expect offers that range between 50% – 60% of the value of your jewelry. Don’t forget that a pawn shop is a business, and to keep their business healthy, they must sell everything in their shop for more than they paid for it. Do online research – learn as much as you can about the jewelry you are interested in buying or selling. Go online and search retail prices, completed online auctions, and trends of the cost of the precious metals in your item. This will give you an idea of how much you can expect to pay or be offered. Do in-person research – many shops do not advertise all of their prices or pieces online, so visit retail jewelers and pawn shops to see what similar items are going for. Ask the retailer or pawnbroker what they might expect your article to go for. Have realistic expectations – keep in mind that if you choose to buy from a retail jewelry store, you are almost guaranteed to pay more than is necessary, so don’t go in expecting to cut a deal or trade an item for it. And if you buy from a pawn shop, you may not find the exact custom piece you were hoping for but will get a great deal. 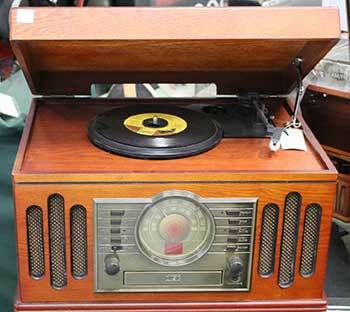 If you are selling, remember that about 50% of the item’s value is a typical amount that a pawn shop will pay. Haggle respectfully – it is fine and expected to try and negotiate for a better price at a pawn shop. We are always willing to work with customers to find a deal that works for everyone. But, know when to back down. You can still walk away and try again another day or at another shop if something just doesn’t feel right. 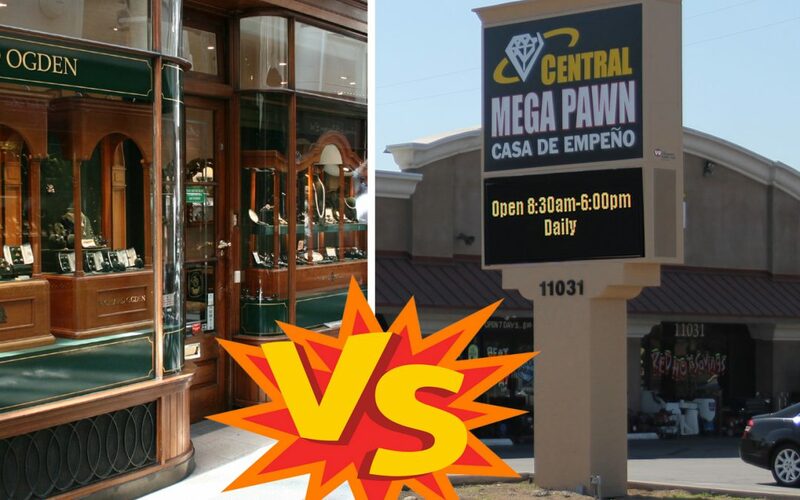 Visit our Showroom in Ontario today and see firsthand why more and more people are picking Central Mega Pawn as the best choice for all their jewelry buying and selling needs. We have been serving the community for many years and are looking forward to many more. Most people who need a quick loan and do not want to pay the high cost of a payday loan, where APR’s can be as high as 400% (see our blog on payday loans vs pawn loans) or go through a credit check and all the additional requirements of a personal loan, a pawn shop is a great alternative. Since Pawn Shops offer short term loans on most items of value, in California for instance the pawn loan term is just 4 months, it is easier and cheaper for many to find an item to pawn than to deal with credit cards or payday loans. However, before you go into any pawn shop to get a quick cash loan there are a few things to keep in mind. 1. Pawn Shops Can & Will Negotiate – So be ready but don’t be rude… as the old saying goes you can catch more fly’s with honey than you can with vinegar. Knowing the value of your item is one thing but what your really want to know is what is lowest reasonable amount you will except and of course just how much money you need as this is a loan and you are not selling the item. Having this information worked out before you step foot inside a pawn shop will put you in a position to work with them in a meaningful way to get the best value for your loan. 2. Make Sure You Have A Valid Form of ID – Pawn shops are heavily regulated and must adhere to strict laws regarding lending and so must require that anyone receiving a pawn loan be documented accordingly. This helps to prevent issues such as fraud and other issues from taking place which helps to make a pawn loan an extremely safe type of loan to get. For most pawn shops a valid drivers license or state ID card will do though they must be current, also acceptable are military ID and Passports, as long as they are valid, student I.D’s and expired I.D’s will not cut the mustard. 3. Not All Pawn Shops Are The Same – From customer service to inventory to size there are all types of reasons that make pawn shops different from one another this includes how much they will offer on your item for the loan they provide you, so it is always best to shop around. Some pawn shops will even increase the amount they will loan on an item if the customer has taken out loans in the past and has a good history with them. For this reason many people will settle on one local pawn shop that they like to get loans from. 4. Interest Rates on Pawn Loans are Regulated By The State – This is one of the reasons that pawn loans can be such a good choice for those in need of some quick cash for a short time. What this means is that you will not pay more than the State Allowed Limit of interest that can be charged on a pawn loan. That being said the interest you pay can play into your negotiations for the best pawn loan as knowing how much you will be paying back may also help you determine just how much money you want to borrow. 5. Make sure whatever you want to pawn is real, has actual value & works – Most pawn shops will not lend on anything that is not in working order, though this may seem like common knowledge we see time and time again individuals get up to the counter with an item such as a drill or a computer that just doesn’t work. Pawn shops will always test an item right at the counter to make sure that it is in working condition before they make an offer. One of the few exceptions to this is jewelry , broken or not as long as it has precious stones and metals you are almost sure to get a loan. When it comes to jewelry authenticity counts a heck of a lot more than functionality. Pawn shops see their fair share of fake jewelry, from some who know it is a fake and those that have no idea, and will always run tests on the stone and/or metal to check its authenticity and its value. For millions of people around the U.S. Pawn Shops are the first choice when they need a quick short term loan and for good reason. 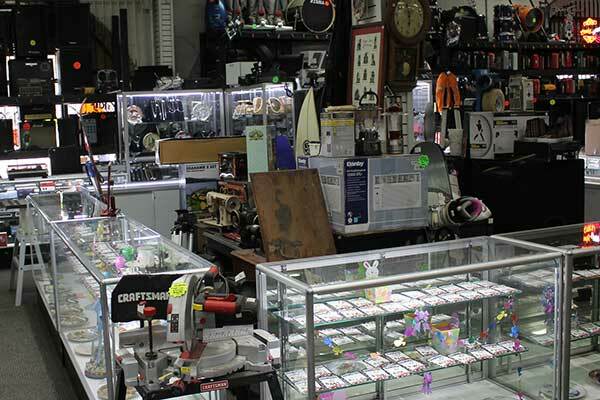 This being said pawn shops are also a great place to sell any of your unwanted or unused merchandise with payouts that are always negotiable so if you do find yourself looking for a pawn shop to get a loan from you may also want to look around and see if there are items you may wish to sell instead.